Lincoln C. Chen is President of the China Medical Board. Started in 1914, the Board was endowed by John D. Rockefeller as an independent American foundation to advance health in China and Asia by strengthening medical education, research, and policies. Dr. Chen was the Harvard School of Public Health Taro Takemi Professor of International Health, Director of the University-wide Harvard Center for Population and Development Studies, and the founding Director of the Harvard Global Equity Initiative. 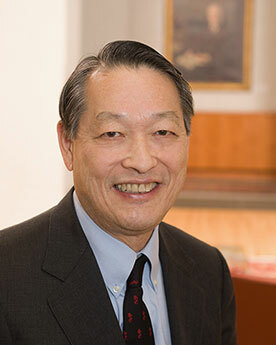 Earlier, Dr. Chen served as Executive Vice-President of the Rockefeller Foundation, and he represented the Ford Foundation in India and Bangladesh. In addition to serving on many boards, Dr. Chen was the Special Envoy of the WHO Director-General in Human Resources for Health, the Founding Chair of the WHO-based Global Health Workforce Alliance, and a founding member of Advisory Board to the UN Secretary-General of the UN Fund for International Partnerships. Dr. Chen is a member of the National Academy of Sciences’ Institute of Medicine, the American Academy of Arts and Sciences, the World Academy of Arts and Sciences, and the Council on Foreign Relations. He graduated from Princeton University (BA), Harvard Medical School (MD), and the Johns Hopkins School of Hygiene and Public Health (MPH).